The Conference Board’s Leading Economic Index (LEI) posted its ninth increase in as many months during May. 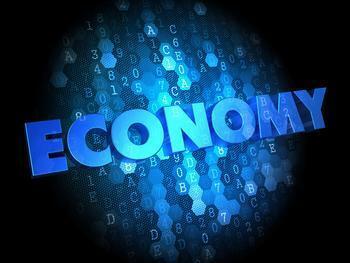 The index, which many economists consider a pretty good indicator of what the economy will do in the next few months, rose 0.3% following advances of 0.2% and 0.3% in April and March, respectively. The increase, said Ataman Ozyildirim, director of Business Cycles and Growth Research at The Conference Board, suggests the economy “is likely to remain on, or perhaps even moderately above, its long-term trend of about 2% growth for the remainder of the year,” said Ataman Ozyildirim, director of Business Cycles and Growth Research at The Conference Board. He pointed out the improvement was widespread among the majority of the leading indicators except for housing permits -- which declined again. In addition, the average workweek in manufacturing has recently shown no sign of improvement. The LEI is a closely watched forecaster of economic activity -- a composite average of several individual leading indicators. It's constructed to summarize and reveal common turning point patterns in economic data in a clearer and more convincing manner than any individual component -- primarily because it smooths out some of the volatility of individual components.